Dear Educator, The Bradford Woods Curriculum and Activity Guide is designed to show State and National standards that are met while engaging in an Adventure Education Program. The actual benefits from the program, both tangible and not, far exceed those stated in the standards. This includes:  Time spent in a new environment  Interaction with the natural world  A chance to create new class bonds  Increase class/school cooperation  A greater self awareness Activities and concepts which occur during your program at Bradford Woods can be taken back to school and expanded upon. Further standards can be achieved through classroom work around the experience. Bradford Woods staff are trained to involve the students in the learning process. This has led to a very successful adventure education experience for school students that have visited our 2,500 acres in hilly, south central Indiana. Every attempt has been made to properly cite the resources used to produce the activities and background information henceforth. But as is often the case when so many people have worked on a piece as large as this, some credit has been lost. To all the people who have contributed to this compilation directly or indirectly, thank you. YOUTH PROGRAMS: We work with a variety of youth programs including Middle School (6-8) and Secondary Education (9-12). We serve sports teams, individual classrooms, entire class groups, and therapeutic programs. Youth programs we have done in the last year include: Southside Elementary, Hauser Jr. High, Highland Park Elementary, Plainfield High School, North Central High School, Cathedral High School, Kentucky Country Day School, Batesville High School, National Guard Youth Camp, Morgan County Prime Time, Canterbury High School, Capture the Crown, Morgan County Corrections, Rotary Youth Leadership Awards RYLA, Jennings County Youth Leadership Program, and more. Adventure Education Program Options: ½ day (4 hours or less) (min 10 people) Fully programmed objective-driven session includes ground based initiatives and low challenge activities. Full Day (8 hours or less) (min 10 people) Fully programmed objective-driven session includes ground based initiatives, low challenge course and either more intense low challenge, high challenge or raftbuilding (available June-September). 2 Day Program (1 night lodging and 3 bronze meals) (min 10 people) Fully programmed objective-driven session Includes ground based initiatives, low challenge course and two events. What is Adventure Education? Adventure education uses unique situations and purposeful activities to provide an environment for learning. Specific activity sequences and program outlines are created based on the group's desired outcomes described in a group profile form. Our goal at Bradford Woods is to create a safe simulated environment where learning may transfer directly to the school, community, home, or workplace. Challenge-by-Choice A paramount principle for all activities at Bradford Woods is Challenge by Choice©. This term originated with Project Adventure and has since become almost universally adopted by the Challenge Course industry. It means that we as facilitators OFFER both physical and psychological challenges to individual participants but THEY CHOOSE their level of engagement in the particular challenge. Our challenge courses and activities are designed to offer differing levels of challenge to participants. We operate inclusive programs meaning anyone of any ability is able to join. History of Adventure Education Adventure Education was born out of the concept that play can be purposeful. Through natural forms of recreation and leisure one can attain personal growth. As this form of education evolved, it became more defined. Outward Bound used the natural environment for youth development programs back in the 1940s that included such things as orienteering, expeditions, service, and simulated activities. In fact, it has been said that the concept of “ropes” courses actually started on sailing ships! The disequilibrium created by “looking risk in the face” produced a perfect platform for introducing leadership and life skills. Project Adventure brought simulated activities into the classroom in the 1970s and then transferred learning into other areas of life. The concept of transfer of learning is the single-most important purpose of adventure education: taking what is learned in a simulated environment and transferring it back to the school, home, field, court, dormitory, office, etc. Bradford Woods began using challenge courses (or ropes courses) in the early 1980s during summer camp and then to compliment environmental education programs. Soon after, it began building into a separate program area. How is this experience useful? Tell me and I’ll forget; show me and I may remember; involve me and I’ll understand. – Chinese Proverb The adventure experience is an opportunity for a facilitator to guide participants through a learning process. It should not be assumed that all participants come bearing problems but hopefully all come focused on the opportunity for learning and discovery. The style in which this process is facilitated will have a direct affect on participants’ ability to make cognitive connections from their simulated activities and everyday life. Hence the facilitation and debriefing process becomes critical to high impact learning and opportunity for change. Below is a model of the ‘Experiential Learning Cycle’. The experience of the individual within the group, is reflected upon through debrief. It can then be generalized to cover other life events and through this knowledge is transferred. Programs in a natural environment involving the use of adventure as education and therapy are becoming more and more popular. Although risk is a fundamental component of outdoor adventure, it is not the final purpose, the ultimate goal. Risk is an instrument, a central metaphor and a methodology (Prouty, 1997) for the personal growth (Smith, 1986) that adventure produces. The Peak Adventure Model shows the balance between the perceived risk and reward of adventure activities. The actual risk during activities is extremely low, especially during high elements. Low Challenge Concepts:  A team includes different people and roles.  Working together is more effective then alone.  Effective team work uses various skills Time: 2–6 Hours Objectives: √ Students will work together to accomplish goals. √ Students will identify team skills used during the success. √ Students will solve problems as part of a group. √ Students will positively challenge themselves and the team. √ Students will experience different roles within a team. Equipment: Close toed shoes must be worn at all times. Note to Teacher: Programs are tailored to suite each groups objectives and goals. The program will start with warm-up activities and ground initiatives before proceeding to low challenge. A lot of the purpose comes from debriefing activities rather then the activity itself. The number of elements used will depend upon the time frame, ability of group, and the facilitator. Vocabulary Spotting commands– To ensure all involved participants are safe and ready to proceed. Climber/Faller: “Spotters ready?” Spotters/Catchers: “Spotters ready.” Climber/Faller: “Climbing?”/“Falling?” Spotters/Catchers: “Climb On [insert name]!”/“Fall On [insert name]!” Processing- The conceptualization of activities, to meet goals, through discussion and other debrief activities. Possible Outcomes: Break group boundaries, Trust, Group Problem solve. Equipment: A wooden platform, typically 2’x2’ and 4” – 8” in height. Task: Balance on the platform for a designated period of time without piling themselves on top of one another. If any group member makes contact with the ground, the group must step down and start over. Safety: If a participant feels unbalanced, he or she should let go of all other participants and step to the ground. (This is to prevent a participant from pulling people down on top of himself/herself.) At no time are participants allowed to put people on their backs or shoulders. Spot as necessary. Variation: Use a tarp instead of a platform—gradually fold the tarp to make a smaller balancing surface. Possible Outcomes: Depending on others, asking for help. Equipment: A series of ropes anchored around trees and other ropes. The maze has no beginning or end. Task: Find the way out of the maze. Participants are delivered into the maze blindfolded. They are told to find their way out while holding onto a rope and that if they need help along the way to stop, raise their hand, and say “I need help.” When a participant does this the facilitator quietly tells the participant he or she has discovered the way out, he or she may remove his blindfold and watch the rest of the group. Safety: Participants must hold onto a rope at all times. They must also be aware that ropes are attached to trees and other group members are also in the maze. Variation: Place 3-5 objects in and around the maze within reach of a rope. While blindfolded have participants search for the objects. Possible Outcomes: Problem Solve, Communication Equipment: A web made of rope and shock cord suspended between 6 posts and height adjustable. Task: Pass all group members over web either all from one side to the other or starting on opposite sides and switching places. Typically, the group is not allowed to touch the web. Safety: Participants provide spotting support as necessary while going through the horizontal web. Care should be taken when lifting participants through the web. It is recommended that two people assist in any lifting while using a HAND-SLING TECHNIQUE. At no time, should participants be carried on backs or shoulders. Active spotting should continue until the participant is safely on the ground. Variation: Hidden Passage—group must travel through the holes in a specific sequence. The sequence is to be discovered as they travel through the web. Possible Outcomes: Problem Solve, Decision Making, Leadership Equipment: A series of three platforms and two 2x6s boards of different lengths. Task: Manipulate the boards to create a “bridge” to enable the group to move from platform to platform. Safety: Participants should use caution to move 2x6s. The boards may be especially slippery if wet. These boards should be lower than participant’s heads when moving. Participants may not jump from platform to platform. Spot as necessary. Low Challenge Meuse Possible Outcomes: Problem Solve, Communication Equipment: A series of stumps sunk into the ground and 2x6s of various lengths. Task: Navigate across the stumps from one side to the other without touching the ground. Safety: If a participant feels unbalanced, he or she should let go of all other participants and step to the ground (This is to prevent a participant from pulling people down on top of himself/herself). Participants should use caution to move the 2x6s. These boards should be lower than participants’ heads when moving. Spot as necessary. Variation: Place participants on stumps at the start. Have the rest of the group retrieve the participants from the stumps. Possible Outcomes: Team Support, Trust, Reliance Equipment: A series of cables strung between six trees used for traversing. Three hand lines are available and adjustable for extra support. Task: Traverse the lengths of cables without falling or stepping off. Safety: If a participant feels unbalanced, he or she should let go of all other participants and step to the ground (This is to prevent a participant from pulling people down on top of himself/herself). Spot as necessary. Variation: Placement and use of hand lines. Use the whole sequence or isolated cable. Possible Outcomes: Decision Making Equipment: A rope swing suspended from a cable between two trees or poles. Task: Cross over using the rope swing to move across designated area without touching the ground. Safety: Take careful consideration into the method of retrieving the rope and the effects it may have on others. Participants may not throw rocks. Spot as necessary. Variation: Place objects in the swinging area that need to be retrieved and brought back or carried over to the rest of the group. A platform (or hula hoops) can be placed on the other side and the group must all land and balance on it. Possible Outcomes: Trust. Equipment: A height-adjustable, flexible ring suspended by rope between two trees. Task: Pass all group members through without touching the ring. Safety: Participants may not dive through the ring. SPOTTING COMMANDS and ZIPPER SPOTTING FORMATION should be utilized. Possible Outcomes: Trust, Accountability, Plan Development. Equipment: A web made of rope and shock cord suspended between two trees or poles. Task: Pass all group members through the web either all from one side to the other or starting on opposite sides and switching places. Typically, the group is not allowed to touch the web and all participants step through or are passed through different holes. Safety: Participants use SPOTTING COMMANDS and ZIPPER SPOTTING FORMATION to pass each other through the web. Participants should be passed through the web face up and their head should remain above their feet. Specific attention Variation: Instead of passing people through the web, pass a rope through all of the holes snake style (head to tail). All group members must remain in contact with the rope for the duration. Possible Outcomes: Problem Solve, Group Comfort. Equipment: A wooden “box” with walls approximately 3 feet high. An additional wall adjusts on the inside to make the box one of 3 sizes. Task: Get inside the Squeeze Box with no body parts outside. Safety: Participants must spot each other as they get in and out of the box. Participants are not allowed to stand on top of the box. At no time are participants allowed to put people on their backs or shoulders. Variation: Additional rules could include not being able to touch any of the walls or only being able to touch the interior surface of the walls. Possible Outcomes: Line of communication, Team Support. Equipment: A long wood beam or pole positioned directly on/close to the ground. Task: Participants stand on the wood beam or pole and rearrange into a particular order without touching the ground. Safety: If a participant feels unbalanced, the participant should let go of all other participants and step to the ground. (This is to prevent a participant from pulling people down on top of himself/herself.) Participants should not jump or run on the beam. Participants should be careful not to step on others’ hands. Spot as necessary. Variation: Provide “step off” points. Possible Outcomes: Problem Solve, Line of communication, decision making. Equipment: A series of spot markers placed on the ground in a line. Task: Switch sides with people facing the opposite direction. Each participant must stand on a spot marker, leaving a vacant spot in the middle. Everyone stands facing towards the vacant spot. The objective is for each half to travel to the other side adhering to the following rules: There are only two legal moves. Move 1: A participant may move forward into a vacant space. Move 2: A participant may only move around someone facing him or her. Only one person can be stepped around. Only one person can be on a marker at a time. Only forward movements are allowed (no stepping backwards). Once a participant has started a move it must be completed. If at any point the group gets into a “traffic jam” everyone needs to return to their original spot and begin again. Variation: Place markers close together and do not allow the group to step on the ground to pass each other. Possible Outcomes: Trust Equipment: An elevated platform with steps approximately waist high. Task: One participant at a time falls from the platform and is caught by the rest of the group. Spotters should be in ZIPPER SPOTTING FORMATION. Spotters should be ready before participant is on platform. Participant stands in FALLING POSITION, initiates SPOTTING COMMANDS and then falls backwards into waiting arms of spotters. Spotters put the participant’s feet on the ground and ensure he or she is steady on their feet. Safety: Participants should remove brimmed hats, watches, and larger rings. Minimum group size is 9. (8 total spotters and 1 “faller”). Faller should be spotted at all times. Caution spotters to keep heads back away from the faller. Possible Outcomes: Achievement, planning. Equipment: An 8’ –12’ wall with a platform on the back side and built in ladder. Task: Participants attempt to get group members “up and over” the wall using themselves as their only resource. Safety: Participants use SPOTTING COMMANDS and safe LIFTING TECHNIQUES to get people over the wall. Only two participants are allowed on the platform at a time (once a third participant climbs over the wall, another climbs down the ladder). Two spotters must spot participant down-climbing the ladder. People on the platform must keep both feet on the platform and keep their heads above their feet. Only one action is allowed at a time (either one climber going up or one climber coming down). Possible Outcomes: Commitment, Reliance. Equipment: Two diverging cables approximately 2’ above the ground. Task: One participant stands on each cable, together they attempt to balance themselves and traverse as far as possible out along the cables without touching the ground. Safety: Participants should not interlock fingers. Palm to palm or palm to shoulder are acceptable. Participants use SPOTTING COMMANDS. Each participant on a cable must have a spotter on the outside of the cables. As participants traverse, spotters must be added between cables in ZIPPER SPOTTING FORMATION. If a participant feels unbalanced, he or she should let go of all other participants and step to the ground. (This is to prevent a participant from pulling people down on top of himself/herself.) Variation: Participants practice with their partner on the ground before they step onto the cables. Possible Outcomes: Accountability, Problem Solve, individuals effect. Equipment: A giant teeter totter (12’ x 6’ deck) that rests on a fulcrum. (The 6”x6”board must be removed from underneath so the deck can teeter.) Task: Balance the deck in a certain manner with all participants on board and without letting the deck touch the ground. Safety: Caution participants that one side of the platform may quickly drop to the ground if the other side becomes unbalanced. Participants should enter and exit from a designated place so toes are not crushed when the deck teeters. Avoid unplanned sudden moves. Variation: Whale watch story line: The group has decided to travel to New England to go on a whale watch. All must board and move on the ship carefully so it does not sink. In order to keep the boat afloat participants must spread evenly across the whole ship. There was a sighting of whales from the stern of the ship but only half the group could see them. Participants carefully switch places on the ship so all can catch a glimpse of the whales. Once all have seen the whale the ship returns to its harbor. Possible Outcomes: Trust, Support. Equipment: A series of five posts and three 2x6s of differing lengths. Task: Navigate across the posts using the 2x6s and without touching the ground. Safety: Boards must be secured in slots on posts to be stepped on. If a participant feels unbalanced, he or she should let go of all other participants and step to the ground. (This is to prevent a participant from pulling people down on top of himself/herself.) Participants should use caution to move the 2x6s. These boards should be lower than participants’ heads when moving. Spot as necessary. Variation: Switch sides. Evaluation: √ Students have achieved goals by working together. √ Students have identified skills that promote success. √ Students have solved problems within their group. Keep in Mind: Our elements are spread around property on three different courses. It therefore may not be possible to do all desired elements. If coming with multiple groups each group may do different elements due to availability, group level and facilitator style/preference. All techniques should utilize an adequate amount of lifters (at least 4 for a team lift) and ensure that the participant’s head remains above his or her feet. basket carry, cheerleader lifts and team lifts are acceptable. Standards Grade 6 Physical Education Standard 1 6.1.1 Demonstrate more advanced forms in locomotor, nonlocomotor, and manipulative skills. 6.1.2 Demonstrate basic competency in more specialized movement skills related to specific physical activities. Standard 2 6.2.1 Identify basic concepts that apply to the movement and sport skills being practiced. Standard 3 6.3.2 Participate in activities, outside of school, that are health-enhancing and can be con tinued throughout a lifetime. Standard 5 6.5.1 Participate in cooperative activities in a leader- ship or followership role. 6.5.2 Acknowledge and apply rules to game situations to ensure personal and group safety. 6.5.4 Illustrate an appreciation of the accomplishments of all group members in group or team physical activities. Standard 6 6.6.1 Engage in physical activities as an opportu nity to socialize with friends and family. 6.6.2 Participate in challenging activities requiring the utilization of newly acquired skills. 6.6.3 Identify the social, emotional, and physical benefits of participation in physical active ties. Grade 7 Physical Education Standard 1 7.1.1 Demonstrate a movement sequence in a physical activity or game. 7.1.2 Demonstrate more complex combinations of movement forms in various sport and rhythmic activities. Standard 2 7.2.1 Learn and apply principles necessary for skilled performance. Standard 3 7.3.2 Select and participate in a new sport or physic cal activity Standard 4 7.4.2 Demonstrate the importance of all compo nents of physical fitness in achieving a de sired level of health-enhancing physical fit ness. Standards Grade 9-12 Physical Education– High School Level 1 Standard 1 9.1.1 Demonstrate activity-specific skills in individ ual, dual, and team physical activities 9.1.3 Model or teach mature motor skills and mov ment patterns to another student. 9.1.4 Perform specific skills at an advanced performance level. Standard 2 9.2.1 Apply previously learned strategies and tactics in the performance of selected physical activities. Standard 3 9.3.3 Participate in physical activities that contribute to the improvement of specific healthrelated physical fitness components (cardio respiratory endurance, muscular strength, muscular endurance, flexibility, and body composition). Standard 5 9.5.1 Demonstrate safe and appropriate use and care of equipment and facilities. 9.5.2 Relate the benefits of physical activities to social and emotional well-being. 9.5.5 Develop strategies for inclusion of all students in physical activity. 9.5.6 Apply game rules accurately and fairly during activity. Standard 6 9.6.1 Identify positive mental and emotional aspects of participation in a variety of physical activities. 9.6.2 Express feelings of satisfaction and enjoyment as a result of participating in regular physical activity. 9.6.3 Reflect on reasons for choosing to participate in selected physical activities. Physical Education– High School Level 2 Standard 1 10.1.1 Perform and analyze activity-specific skills in individual, dual, and team physical activities 10.1.3 Model or teach mature motor skills and movement patterns to other students. Standard 2 10.2.1 Apply previously learned strategies and tac tics to advanced physical activities. Standard 3 10.3.3 Describe and demonstrate physical activities that contribute to the improvement of specific fitness components (cardio respiratory endurance, muscular strength, muscular endurance, flexibility, and body composition). 10.3.4 Participate regularly in lifetime physical activities (minimum accumulated total of 60 minutes of moderate intensity activity most days of the week) that contribute to improved physical fitness and wellness. Standard 4 10.4.2 Identify and evaluate personal physiological responses to exercise. Standard 5 10.5.1 Demonstrate safe and appropriate use and care of equipment and facilities. 10.5.3 Assess the potential physiological risks associated with physical activity in various environments. 10.5.6 Apply game rules accurately and fairly during physical activity. Standard 6 10.6.1 Promote positive mental and emotional aspects of participation in a variety of physical activities. 10.6.2 Appraise feelings of satisfaction and enjoyment as a result of participating in regular physical activity. 10.6.3 Reflect on reasons for choosing to participate in lifetime physical activities. High Challenge Concepts:  Regular physical activity is part of a healthy life style.  Using correct safety equipment is a positive health choice.  Learning new skills promotes personal growth. Objectives: √ Students will use and understand correct safety equipment. √ Students will use hand eye coordination to complete a physical task. √ Students will support other team mates. √ Students will positively challenge themselves both physically and mentally. √ Students will participate in physical activity. √ Students will apply their experience to other life situations √ Students will spend time outside in a natural environment. Equipment: All participants must be wearing close toed shoes Note to Teacher: All students will have a different comfort zone with heights and climbing. Therefore each student will set their own individual goal. Which may not always be the top of a climbing element. All activities listed will not be programmed. This is a list of what we offer. The number of High Elements depends upon the program contracted. Vocabulary Belay– It mean ‘to hold fast’ and is the technique used to keep a climber safe. Belay device– A mechanical device used when belaying a climber to increase friction in the rope. Helmet- A hard protective hat worn to protect the head while climbing. Harness- A safety device worn by climbers. It is made from sewn together webbing. curves around twice making it into the shape of an 8. Carabiner– Comes from the German word ‘Karabinerhaken’, meaning Karabiner Hook. It is an oblong metal ring with one springhinged side that is used for climbing and mountaineering. Rope- Climbing rope is specifically made to withstand the impact made by a person. Rope also has some stretch to soften impacts. High Challenge Climbing Tower The climbing tower is a four sided, 37’structure with each side varying in its angle to the ground. There is a 60-degree, 80-degree, 90-degree and overhanging side of the Climbing Tower. The Climbing Tower simulates a natural rock-climbing experience. Each participant will have an opportunity to climb, spot, and belay. It is recommended that a participant be at least 10 years old to climb the climbing tower or fit adequately into appropriate gear. Staff to participant ratio on the Climbing Tower will be 1:8. Maximum Participants per group: 40 √ Zip-Line The Zip-Line utilizes the climbing tower structure and access is gained via the 60 degree climbing wall. Once at the Top of the tower the students will be transferred to a zip trolley and by their own power slide off the platform. Once at the end students will be taken down via a ladder. Students have used and understand correct safety equipment. Students have engaged in a physical activity which requires hand-eye coordination. Students have demonstrate correct belay technique. Students have accomplished a new goal which stretch them. Students have discussed their experience and applied it to more long term events. Students have spent time in the outdoors. Keep in Mind: Peer pressure is prevalent within this age group. It is therefore important to manage negative or forceful behavior while encouraging positive support between the group. Background Harness: Bradford Woods currently utilizes harnesses manufactured by Yates, Edelweiss and Robertson. All high elements require a climbing participant to wear a harness. Fitting Seat Harnesses. (Alpine and Climbing Tower) √ Loosen all straps on the harness. √ Hold harness by colored belay loop. √ Place feet through waist belt (the largest loop) and each leg through a leg loop. √ Slide waist belt up above the hip bones (iliac crests). √ Belay loop should be centered (in front of navel). √ Tighten waist belt by sliding webbing through the buckle until snug (two fingers maximum between waist belt and hip bones). √ Tighten leg loops by pulling on the tails of the leg loops until snug. Leg loops should sit high on the climber’s legs for free range of motion. Fitting a full body harness: (Pamper and High Woozy) All sizes may vary due to height and weight structure. Small= Yellow; Red=Medium; Blue=Large; Grey=XLarge √ Loosen all straps on the harness √ Find the back attachment point (double loops). √ Set that attachment point directly on the ground. √ Spread out the shoulder straps and leg straps. √ Set waist-belt to side of harness. √ Step into the leg loops. √ Reach behind to pull shoulder straps up and onto the shoulders (like putting on a backpack). √ Set large stitched hip webbing points on the hipbones (iliac crests). √ Pull leg loops tight (if excessive webbing tails it is acceptable to tie overhand knots in them). √ Pull shoulder straps snug (if excessive webbing tails it is acceptable to tie overhand knots in them). √ Once steps 9 and 10 are complete the back attachment point must be centered between the shoulder blades (if the attachment point is up around the neck, the harness needs to be readjusted or a smaller harness fitted to the participant). √ Bring the waist strap to the inside of the shoulder straps, around the waist, and above the hipbones (iliac crest) and feed through waist buckle and not twisted. √ Tie an overhand knot in the tail of the waist webbing with a 3” tail remaining. √ Clip the carabineer across chest making certain that the carabineer gate is facing down towards the ground (this carabineer holds the shoulder straps on the shoulder when the harness is weighted – make sure that the carabineer is snug across chest). For proper fit, the back hook-in loop must fall between the shoulder blades and the base of the neck. Climbing Commands: Before leaving the ground the climber will have a conversation with their safety team to make sure they are ready. Commands may differ slightly from place to place but follow the same principle. They also differ at each element depending on what roles are involved. To safely attach the rope we use a knot called a figure 8. At the Alpine Tower we tie in using a figure 8 follo through. After tying the figure 8 the ‘tail end’ is looped through the harness and traced back on itself. Everywhere else we use a figure 8 on a bight . The figure 8 is then backed up with a barrel knot. Two steel carabiners are then used to attach the knot to the seat harness. Standards Grade 6 Physical Education Standard 1 6.1.1 Demonstrate more advanced forms in locomotor, nonlocomotor, and manipulative skills. 6.1.2 Demonstrate basic competency in more specialized movement skills related to specific physical activities. Standard 2 6.2.1 Identify basic concepts that apply to the movement and sport skills being practiced. Standard 3 6.3.2 Participate in activities, outside of school, that are health-enhancing and can be continued throughout a lifetime. Standard 5 6.5.1 Participate in cooperative activities in a leader- ship or followership role. 6.5.2 Acknowledge and apply rules to game situations to ensure personal and group safety. 6.5.4 Illustrate an appreciation of the accomplishments of all group members in group or team physical activities. Standard 6 6.6.1 Engage in physical activities as an opportunity to socialize with friends and family. 6.6.2 Participate in challenging activities requiring the utilization of newly acquired skills. 6.6.3 Identify the social, emotional, and physical benefits of participation in physical activities. Grade 7 Physical Education Standard 1 7.1.1 Demonstrate a movement sequence in a physical activity or game. 7.1.2 Demonstrate more complex combinations of movement forms in various sport and rhythmic activities. Standard 2 7.2.1 Learn and apply principles necessary for skilled performance. Standard 3 7.3.2 Select and participate in a new sport or physical activity Standard 4 7.4.2 Demonstrate the importance of all compo nents of physical fitness in achieving a de sired level of health-enhancing physical fit ness. Standards Grade 9-12 Physical Education– High School Level 1 Standard 1 9.1.1 Demonstrate activity-specific skills in individ ual, dual, and team physical activities 9.1.3 Model or teach mature motor skills and mov ment patterns to another student. 9.1.4 Perform specific skills at an advanced performance level. Standard 2 9.2.1 Apply previously learned strategies and tactics in the performance of selected physical activities. Standard 3 9.3.3 Participate in physical activities that contribute to the improvement of specific healthrelated physical fitness components (cardiorespiratory endurance, muscular strength, muscular endurance, flexibility, and body composition). Standard 5 9.5.1 Demonstrate safe and appropriate use and care of equipment and facilities. 9.5.2 Relate the benefits of physical activities to social and emotional well-being. 9.5.5 Develop strategies for inclusion of all students in physical activity. 9.5.6 Apply game rules accurately and fairly during activity. Standard 6 9.6.1 Identify positive mental and emotional aspects of participation in a variety of physical activities. 9.6.2 Express feelings of satisfaction and enjoyment as a result of participating in regular physical activity. 9.6.3 Reflect on reasons for choosing to participate in selected physical activities. Physical Education– High School Level 2 Standard 1 10.1.1 Perform and analyze activity-specific skills in individual, dual, and team physical activities 10.1.3 Model or teach mature motor skills and movement patterns to other students. Standard 2 10.2.1 Apply previously learned strategies and tac tics to advanced physical activities. Standard 3 10.3.3 Describe and demonstrate physical activities that contribute to the improvement of specific fitness components (cardiorespiratory endurance, muscular strength, muscular endurance, flexibility, and body composition). 10.3.4 Participate regularly in lifetime physical activities (minimum accumulated total of 60 minutes of moderate intensity activity most days of the week) that contribute to improved physical fitness and wellness. Standard 4 10.4.2 Identify and evaluate personal physiological responses to exercise. Standard 5 10.5.1 Demonstrate safe and appropriate use and care of equipment and facilities. 10.5.3 Assess the potential physiological risks associated with physical activity in various environments. 10.5.6 Apply game rules accurately and fairly during physical activity. Standard 6 10.6.1 Promote positive mental and emotional aspects of participation in a variety of physical activities. 10.6.2 Appraise feelings of satisfaction and enjoyment as a result of participating in regular physical activity. 10.6.3 Reflect on reasons for choosing to participate in lifetime physical activities. 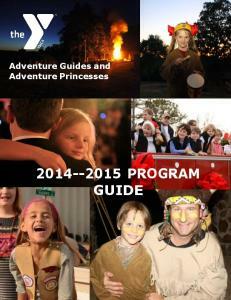 Report "Adventure Education Curriculum and Activity"